The Fellowship was fortunate enough to obtain a copy of SUPREME #64 from Image Comics. The story is by Erik Larsen with art by Larsen and Cory Hamscher. The Citadel Supreme is attacked by a thousand versions of Darius Dax, Supreme’s archenemy. 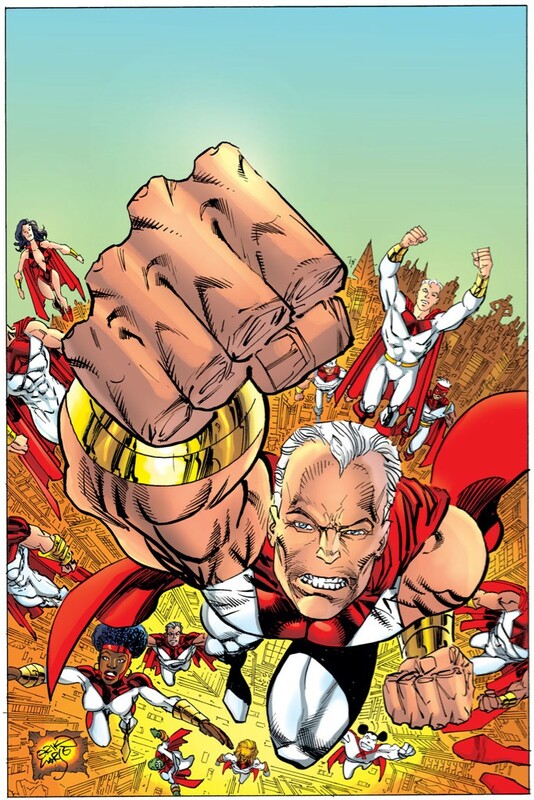 With the army of Supremes getting their collective heads handed to them, the original and the current versions of the hero are down to their last hope. The Ivory Icons release the most powerful version of Supreme…but is it worth the risk? This is the first issue with Erik Larsen as writer (Alan Moore was the previous writer). Judging the events at the end of this issue, I am wondering if Mr. Larsen is closing the door to the Silver Age vibe that Moore brought to the book and go a different direction. It’s his right of course and I won’t complain about it because Larsen can write a comic full of fun and adventure. I could be totally off base about this, but I don’t think so. I have said it before and I will say it again, big fan of Larsen’s art. I am optimistic for this book. SUPREME #64 is in comic book stores now or available at www.imagecomics.com.